Meeting an antelope hare is like meeting a humble ambassador of the desert. 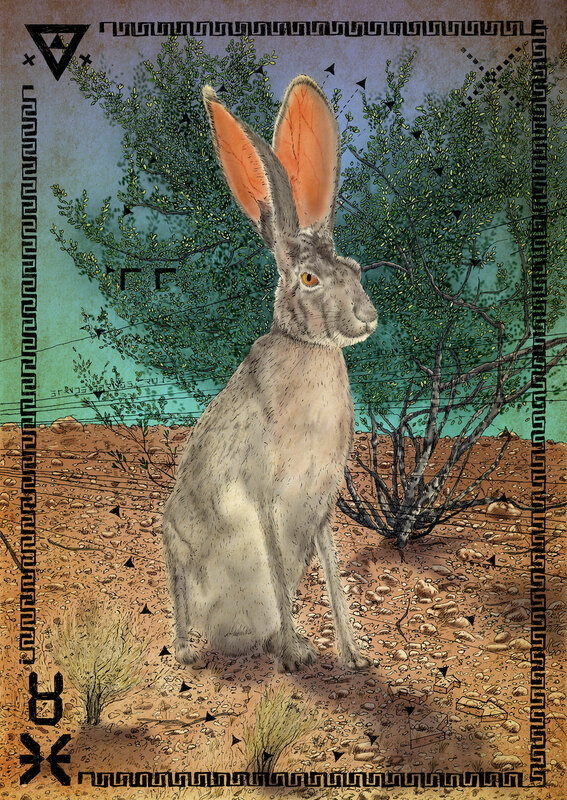 A tall, slender running machine with long, alert ears always scanning. Their unusually large size has startled me more than once as I think there's a dog sitting there perfectly still. Maybe some type of greyhound. Creosote bushes are their perfectly-to-scale forest with plenty of room between bushes for multiple getaways. Heavily predated, they run, hide and breed with great proficiency. 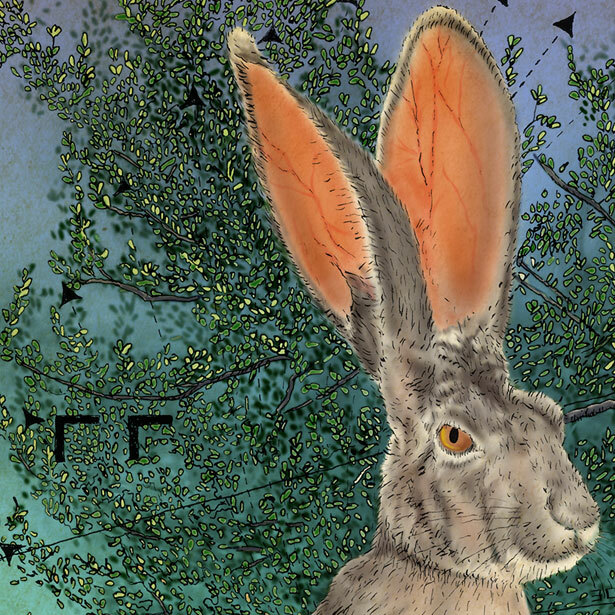 There is something mysterious about the rabbits and hares. Not as much a sense of distrust but an inner alert and meditative wisdom. I was thinking about this stately way of being near the bottom of the food chain, it's strategy of multiple escape plans and it's zig-zag getaway move to throw predators off the trail.